Welcome to the website where you can find out all the required information about EZ GO Golf Carts in case you are planning to repair, convert, customize or buy one. The EZGO company was established in 1954 by two brothers in Augusta, Georgia. After 57 years the company still and always will pride themselves on designing and customizing reliable and durable golf cars for personal, commercial, golf, industrial, and other needs. They build dozens of unique vehicle models to meet the needs of their ever-growing customer base. 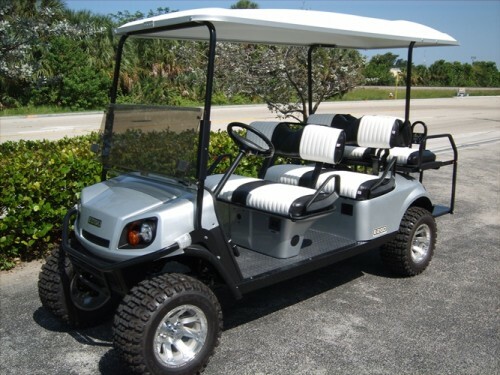 The personal golf cars allow individuals the ability to drive around their neighborhood, use on their job, to drive around their town, or for use on the golf course. The personal cars include Trail Utility Vehicles such as the Terrain 250, the Terrain 500, the Terrain 1000, and the Terrain 1500. The Terrain 250 offers you the choice of an electric 48 volt drive train or a 13 horse power Kawasaki gas engine, bench seating for two, a weight capacity of 800 pounds, and a 5.9 cubic foot cargo bed. The Terrain 500 offers a weight capacity of 650 pounds and is gas or electric. The Terrain 1000 offers bucketseats, comes in electric or gas, and has an 800 pound weight capacity. The Terrain 1500 offers electric or a 16 horsepower engine, an 800 pound weight capacity, and bucketseats. There are also Golf Carts offered including the TXT Fleet, the TXT Freedom, the TXT 2+2 Shuttle, the RXV Fleet, and the RXV Freedom. The TXT Fleet offers larger seats, increased dash storage, and an USB port for GPS systems or smartphones. The TXT Freedom offers a 48 volt drive train or low emissions petrol power, has ample storage, tall seat backs, and modern headlights. TXT 2+2 Shuttle offers a smooth ride for the passengers, can hold up to 4 passengers, and comes in electric or gas. The RXV Fleet comes in either electric or gas, is durable, reliable, and has great performance. The RXV Freedom has a high level of safety, durability, performance, and has advanced technology. The RXV 2+2 Shuttle is either gas or electric, and can transport up to 4 passengers at a time. Then, there are the Travel Leisure Vehicles such as the Express L4, the Express L6, the Express S4, and the Express S6. The Express L4 offers two toned seats, chrome golf cart wheels and tires, can hold up to 4 passengers, and comes with rear facing bench seats that can be converted into a rear cargo deck for your hauling needs. The Express L6 offers lifted suspension for rocky or rough terrain, has room for up to 6 passengers, and has rear seats that convert into a cargo deck. The Express S4 offers room for up to 4 passengers, can be gas or electric, and has rear facing seats that convert into a cargo deck. The Express S6 offers bench seating for up to 6 passengers, has street tires with chrome wheels, and comes in electric or gas. Last but not least is the 2Five, the companies street legal golf car. This car comes in your choice of a two seater or a four seater, the standard color of black, and has speeds up up to 35 miles per hour and speeds of up to 8 miles per hour in reverse. The commercial line offer vehicles for all your golf course maintenance needs. There are three models: the Cushman hauler, the Cushman hauler X, and the Cushman 1600XD. The Cushman Hauler and the Cushman Hauler X both are available in the forms of gas and electric and the Cushman 1600XD has four wheel drive and has four wheel independent suspension. They also offer commercial vehicles for the food and beverage industry with the newest being the Cushman Refresher FS2. These cars come equipped with everything you need to serve foods and beverages all over the golf course or country club, while others can stay nourished and hydrated and still enjoy the beautiful game of golf. There are gas or electric cars with 1200 pound capabilities, to transport personnel around the course or country club. These transport cars are the Shuttle 2, the Shuttle 4, and the Shuttle 6. These cars allow employees and personnel to get around without having to walk and carry the items they may need to use. The Shuttle 2 aides in housekeeping, maintenance, and food service needs, are electric or gas, and has an extra long cargo deck. The Shuttle 4 has four seats and a cargo deck for transporting belongings. The Shuttle 6 offers the ability to carry up to 6 passengers, and comes in your choice of either gas or electric. They have industrial cars for just about any need your facility may have including a titan, haulster, minute mizer, tug, stock chaser, and a hauler. These vehicles can be customized to fit the needs of your company. These vehicles are rugged, dependent, powerful, and efficient in getting the job done. 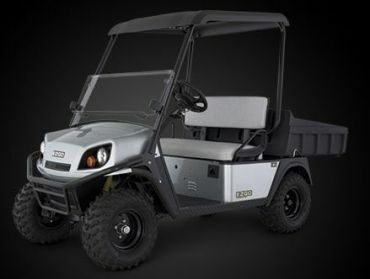 From welding stations to security vehicles, EZGO can fit the needs of your operation. The Titan LD easily transports thousands of materials at once, offers your choice of a two seater or a four seater, has a 3,000 pound capacity cargo bed, and has a 4,600 pound towing capacity. The Titan HD comes in either 36 volts or 48 volts, has a towing capacity of up to 4,600 pounds, and a load capacity of up to 3,000 pounds. The Titan XD has a 3,000 pound weight capacity, has front and rear suspension, is electric or gas, has rack and pinion steering, and has a 5,000 pound towing capacity. The stock chaser is built to maneuver through narrow passageways, has a 1,000 pound payload capacity, has a 29″by 48″ cargo deck, and has an optional 4 or 6 step ladder. The Minute Miser features a flip down seat for an additional passenger or for carrying cargo, has a 10 miles per hour maximum speed and offers a 550 pound total weight capacity. The Tug 5000 offers a 5,000 pound towing capacity, a 4.9 square foot cargo deck, and a 36 volt power train. The Tug 8000 can pull loads of up to 8,000 pounds, has a 36 volt DC power train, and two wheel hydraulic brakes. These golf cars can also be rented for daily use, short term, or long term usage with everything tailored to your needs for all your personal rental requirements. There is also a shopezgo shop called shopezgo.com that has all the parts and accessories you might need. They are your go-to source for genuine EZ GO golf cart parts and accessories. From tires to golf cart batteries, they supply it all. You can browse and make purchases from a wide range of products for whatever you need. You can purchase your replacement parts from your local dealer or order to them online directly from EZGO. They even have a free smartphone app, available on iOS systems through the Apple App Store, called the EZGO experience app, which makes for convenient browsing and buying. Once on the app, you can find dealers in your area and or you may choose to make your purchases on the app itself. You can choose which model you like by deciding the amount of passengers you are wanting to carry and the type of terrain you will be driving on and then customize it to your liking including picking the color, tires, and even solar paneling. There are a vast array of options to fit your personal needs or wants with just the click of your finger or touch of your screen. You can even have them customize your pre owned vehicles and equip them with EZGO products such as lift kits, light kits, and cargo boxes to name a few. The light kits offer headlights and taillights for day or night traveling, the lift kits offers better clearance for going off road on rocky or rough terrain, and the cargo boxes provide light duty hauling to help get your stuff from point A to point B safely and efficiently. 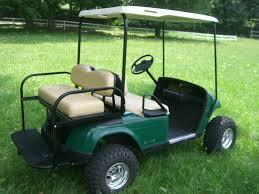 There is customizing for golf cars, utility vehicles, special vehicles, and burden carriers. Also customizing carts is done for ambulance services, food services, mortuary services, and laundry and maintenance services. If you are a DIYers, there are instructional videos online to help you repair and maintain the EZGO cart of your choice. 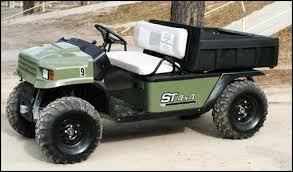 Check out the custom golf carts page! Furthermore, there is a blog where customer questions are answered and even an area to share personal stories and experience with EZGO. Also you can check out our sales page for gas golf carts for sale or electric golf carts for sale. In this technology-based age, everything is targeted towards social media sites and this is no different for this company. You can follow them on Facebook or Twitter to keep up with the new products they offer as well as learning more about the brand itself. EZGO is a company with experience and excellent customer service with the drive and determination to provide quality products and service to their customers. They aim to build strong relationships with their customers and ensure satisfaction every step of the way. In summary this website aims to offer you information such as exploded ezgo parts diagrams and lists, how to repair guides and troubleshooting guides for your ezgo golf cart.